If your mentally ill patient dies, are you to blame? For Dr Françoise Davoine, Parisian psychoanalyst, this question becomes disturbingly real as one of her patients, Ariste, dies. Davoine is abducted and put on trial by mediaeval fools and through the course of one hellish night - across several centuries and countries – must argue her case for exoneration. 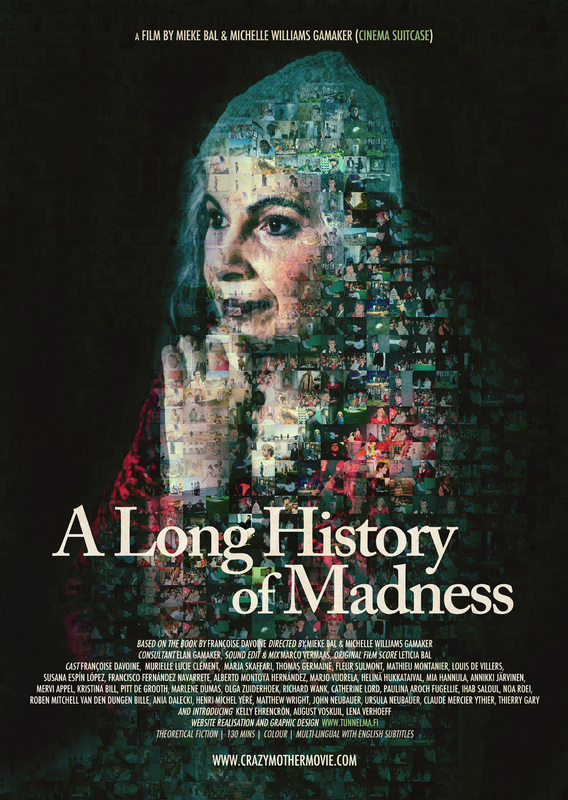 As the journey forces Dr Davoine to question her own life, via a mix of fiction, documentary and theory, Mère Folle takes the viewer on a one-of-a-kind journey into the minds of the 'mad' and those designated to cure them. Mère Folle (2010) was launched with specific audiences in mind. 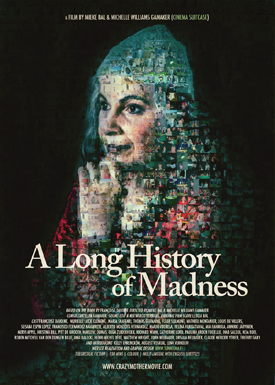 A Long History of Madness (2011) is the international film of this project, released for the general public. Across Europe and America we are involved in conferences, film festivals and art museums, to discuss the theoretical and practical themes of our project. Spatialising the content of the film offers us the possibility to screen the work in museum and art gallery contexts, in order to create different experiences of the images. This is an on-going long-term project, to present a number of articles, interviews, set photographs and behind the scenes making-of photographs. As an opposite order of our Mère Folle Project we first edit the installations and then will work on a feature length cinematic film. Meanwhile the following exhibitions have been held after our last update. We also screened A Long History of Madness for a whole week, its longest run to date at Topkino, Vienna. Our next show was Past Landscape: Among Old Masters in Göttingen at the Kunstsammlung der Georg-August Universität Göttingen. A bit like our installation Anachronisms in the Guggenheim Bilbao Museum, we combined our project with old master paintings. In this case, the works were installed amongst the old master paintings in the galleries. Afterwards the museum acquired the pieces for their collection. We will be back in the new year to let you know where we will be posting information about the Mère Folle and Madame B. projects. Wishing you all a lovely holiday and happy new year.